Cloud as we all know is going to be the future. The cloud can be used to maximize the effectiveness of the shared resources. It is not only shared by multiple users but it also can be used by different users based on their specific demand. That’s the power of cloud for you. No need to store the data in hard-disks, magnetic tapes, CD’s etc but u can store it in a cloud and you can use it whenever required. But there are some cloud security threats and hope it will soon be rectified and then we surely say this era to be a CLOUD ERA. We will take a sneak peak through the security threats in cloud. The companies can store a large amount of data to the cloud and different users using the data can access it from any part of the world. But the problem with this is there might be some data which will be secure and it shouldn’t be released, but it gets released and hence a data breach occurs. A data breach can be caused by a malicious and intrusive action. For eg; if confidential data of some companies is leaked or hacked by rival company then it can cause great loss to the company as well its reputation will be affected. So data breach is a big concern. Data loss can occur when the information is lost due to failures of disk drives or due to negligence in storage, transmission or processing. Data loss is situation in which it will create huge loss to both the consumers as well the businesses.So data needs to be handled carefully and it needs to have proper back up. 3. People handling the cloud can be a threat. The data is of huge value for a business and consumers. If the data is handled by a person who is not trustworthy can be of big risk. As the data is shared in cloud, He/She can easily give access of the vital data to rival users and thus the company or business is at loss. So there should be some encryption or authentication with is not to be stored in cloud and it should be with the users itself. 4. Abusive power of cloud services. It is among the big threats in cloud. Cyber criminals can use social media to abuse the cloud users. 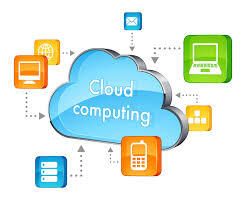 Cloud being a large scale computing provides services to enterprise users and hackers in the same manner. The hackers can hack the cloud and thus serve malware, theft images, important information, distribute pirated software. In a manner cloud can give users abusive power. Due diligence needs to be performed because too many companies go for cloud computing without even knowing its capabilities as well as the flaws in it. Without knowing the service providers capability, environment and protections, the users(customers) don’t know what to expect in-case of data breach, data loss etc. They are prone to unknown risk. The users or customers needs to undergo the documents created by Cloud Security Alliance in order to know more about the cloud and its usage and also it can act as a framework to facilitate diligence. Ratish is the lead news writer at 5 Random Things. His passion for helping people in all aspects of online marketing flows through in the expert articles he contributes to many well respected publications across the web. THE ERA OF BROOM-ANCE !